The reality of lying is to give news of something in opposition to the true state of affairs. This transmission of news is not limited to speech, rather it can be through action, such as making an indication with one’s hand or nodding one’s head and it can be through silence. ”Destructive Good Suspicion is to have a good suspicion of the people of falsehood whether are they disbelievers, innovators or evil (open) sinners. And that which led the disbelievers to belie the Messengers, (harbouring) a severe disbelief in them and their message was due to their evil suspicion towards the people of truth (i.e. the Prophets and their true followers), and having a good suspicion of their forefathers and their religions of falsehood and disbelief. 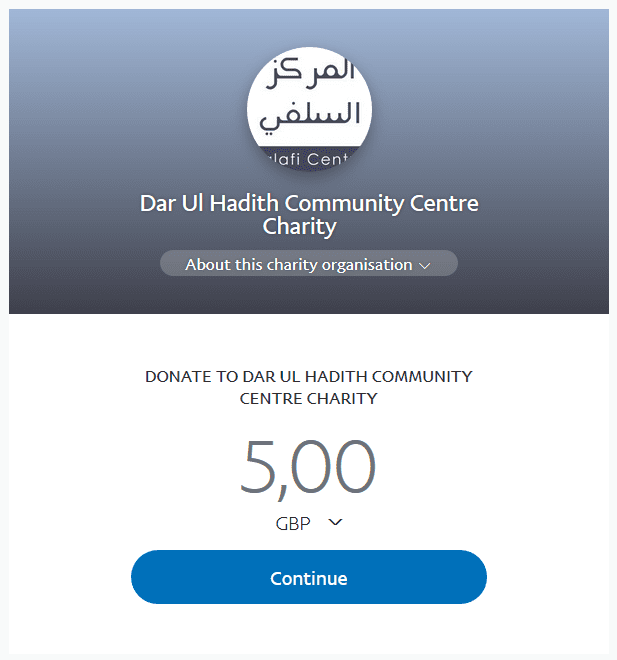 On the 25th July 2012, Abu Usaamah gave a video-recorded lecture in which he claimed that he was giving ‘Sincere Advice’. He claimed that Ustaadh Abu Khadeejah utilised the speech of Imaam Albaanee (rahimahullaah) in a deceitful manner in order to show that Abdur-Rahman Abdul-Khaaliq is an innovator. 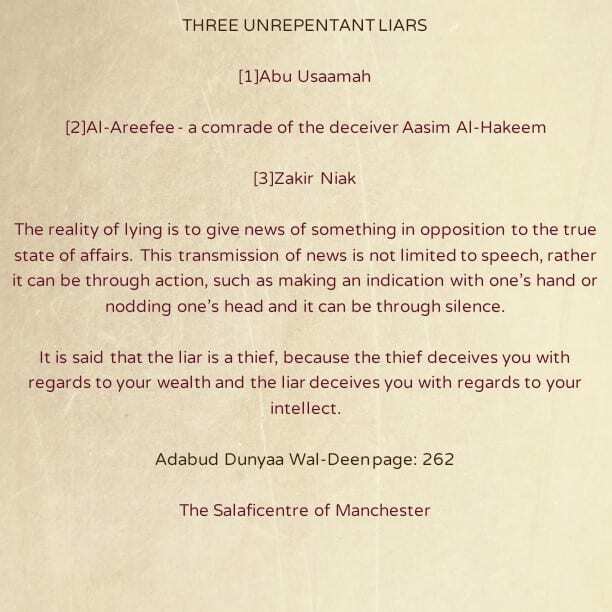 This lie became ever more serious when one realizes (as is apparent from the video) that Abu Usamah was holding a printed copy of the blog post in front of his face for most of the lecture, yet he never once read where Ustaadh Abu Khadeejah had said that Shaikh al-Albaanee (rahimahullaah) had made tabdee’ on Abdur-Rahmaan Abdul-Khaaliq or even implied it. In a whole hour and more, not once did Abu Usaamah read this alleged assertion of Abu Khadeejah?